Nier Automata is now out in all regions on PlayStation 4, and many all over the world have fallen in love with the world and characters created by Yoko Taro. The game’s director also attended PAX East 2017 last weekend, revealing some details on possible DLC packs for Nier Automata and more in a brand new interview. Sadly, things are not looking too good at the moment regarding extensive DLC packs for Nier Automata. Asked about them in a recent Q&A session, Yoko Taro revealed that he currently doesn’t have enough budget and manpower to produce meaningful DLC for the game, even though Yosuke Saito has expressed interest in developing them. As such, Yoko Taro hopes that players won’t be expecting too much from the game’s additional content. 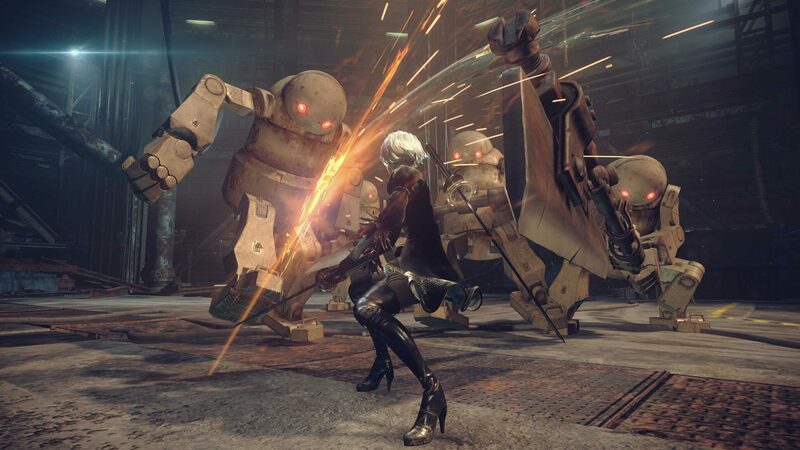 In the same session, which can be checked out in full on the Nier Automata Facebook page, Yoko Taro has also touched upon a possible Drakengard series collection. Taro revealed that many have made their voice heard on the matter, so they know there’s demand for it, and he encouraged fans to reach out to Square Enix so that he might get the money required for the project. In his Nier Automata review, Kai noted how the game, although not perfect, may be one of the best games of the year thanks to the sum of Yoko Taro’s unique storytelling and the fast paced Platinum Games action gameplay. Nier Automata is now available on PlayStation 4 in all regions. The game finally launches on PC later this week, on March 17th.